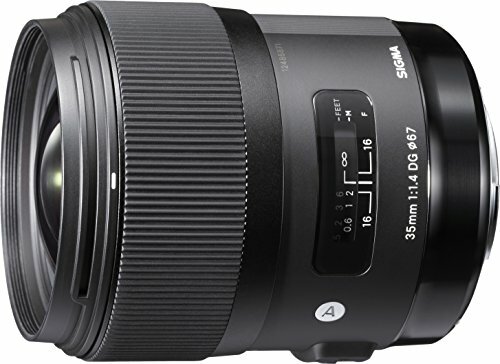 As one of the most popular lens creators in the world, Sigma are fast becoming a household name due to the quality and performance of their products. Whether you are an amateur photographer or an experienced professional, the Japanese brand have a range of products that will suit your needs. This guide aims to give you a little background about the type of products that are available, how they are used and also some of the best options that are currently available on the market. 3 What types of Sigma lens for DSLR cameras are there? 4 What are the best Sigma Lenses for DSLR Cameras? Established in 1961, Sigma is now widely considered to be one of the best manufacturers of lenses for a range of cameras. Famous for their build quality, performance and reliability, the Japanese corporation offer products for professionals, amateurs and beginners. As any photographer will know, good quality lenses can make all the difference when it comes to capturing striking, professional standard images. With a practically limitless range of options, users can find zoom, wide angle, macro and fish eye lenses that are purpose built to work with most brands of digital camera. Before you part with any of your hard-earned money, it is important to consider a few key things to ensure you can get the best product for you. As a general rule, each brand of DSLR camera will have its own fittings and attachment style, so it is essential that you check the compatibility of any lens you plan to buy before you make a purchase. Canon, Nikon, Sony and other major camera brands are all slightly different and Sigma have a range of specifically adapted lenses to fit each model or make. Lenses are not cheap and for beginner photographers, especially those on a limited budget, they can be one of the most expensive pieces of equipment to buy. Rather than buying one very specific lens when you are first starting out, it would make sense to opt for a good all-round option that can accommodate a range of styles and environments. Sigma produce a huge array of products to suit most budgets so whether you need something very specific for professional, artistic work or something sturdy and long lasting for everyday use, you should be able to find something to suit you. Lenses are used for different purposes and whether you are a professional photographer or an enthusiastic amateur, it is essential to have the right tools for the job. A wide angle, fish eye lens can be incredible at capturing awe-inspiring artistic shots, but probably won’t perform too well in other situations such as portrait photography or general everyday use. Carefully consider how you will be using your lens before you decide to make a purchase so you can get the right product for your needs. In some cases, having a range of heavy lenses may be unavoidable but for many photographers, traveling light is essential. Considering how much you can realistically carry with you while on the move is important for both comfort and safety. Using a vehicle to transport your equipment may not always be possible so do take note of how much room any attachments may take up in a camera bag as this can be a critical factor. 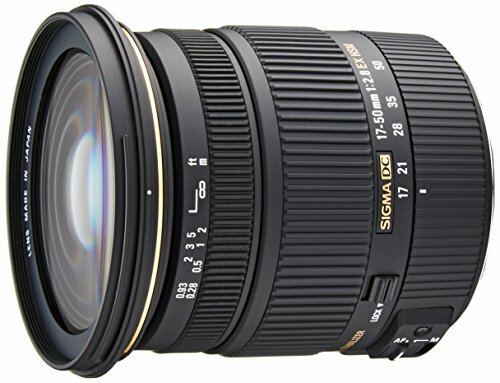 What types of Sigma lens for DSLR cameras are there? Depending on your individual needs, the type of lens you may need will vary but our list aims to cover most filming and photography styles. There are a range of different lenses with specific uses available, from large, heavy duty attachments that are ideally suited to professionals or dedicated amateurs to lightweight, easily portable additions that can adapt to all kinds of styles or environmental conditions. 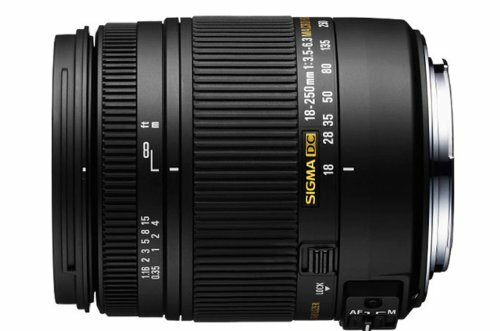 Below is a brief explanation of some of the more commonly used Sigma lenses for DSLR cameras. This type of lens is defined by its short focal length, which means the distance from the center of the lens to the sensor. Essentially a short focal length will mean a wider field of view, so this type of lens is favored by landscape photographers, wedding photographers and anybody else who needs to capture a wide area while still maintaining a decent level of detail. 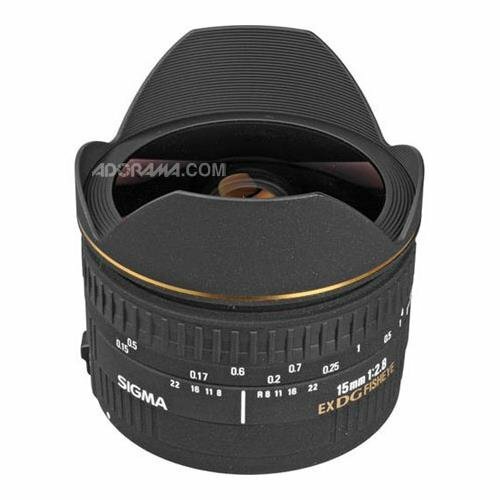 Sigma produces a range of wide angle lenses to suit most budgets and camera makes. As the name suggests a standard or “normal” lens is designed to produce images that look similar to the way we see the world through human eyes. With a fixed focal length of 50mm (though some can be 85 or 100) this type of lens is designed for everyday use when taking snaps out and about. Probably the most diverse and simple to use, beginner photographers may like to invest in this style lens first as it can be used to take all kinds of shots in a range of conditions. Typically, photographs taken with a standard lens will look natural and unprocessed, so if you are taking a large number of shots or wish to capture an accurate representation of a subject, this is the best choice. Telephoto lenses have a long focus and a narrow field of view, which makes them ideal for shooting objects that at a long distance without losing clarity or detail. Favoured by the papparatzi and celebrity photographers, this type of lens allows the user to capture highly defined images from a great distance. Designed to be shorter than some styles, this type of additional lens is generally less bulky and therefore easier to carry in a camera bag while out and about. This type of lens has an extremely wide angle which means it can be used to capture panoramic shots and also photographs with a distinctive, rounded and distorted appearance. Commonly used for artistic shots, cityscapes and panoramas, fish eye lenses produce a very specific style of photograph that is instantly recognizable. Due to the amount of glass used in the complex manufacturing process, this is often one of the most expensive types of lens and not generally recommended for amateurs or beginners. Macro lenses are generally used for shooting extremely close up objects, particularly smaller subjects such as flowers, insects or fine details in materials such as wood or metal. Used in nature documentaries and artistic photography, this type of lens magnifies the subject to a maximum of 1:1 to provide exquisite detail. Ideally suited for professionals who need to capture extremely small subjects in a great amount of detail, this type of lens is specifically designed to enlarge the image it captures without distorting or altering it in a way that looks unnatural. OS stands for Optical Stabilization, which essentially means the lens is designed to compensate for small movements of the camera. This means that if the photographers’ hands shake slightly or the conditions are particularly unstable, the image captured will still be sharp and clear. This type of lens can be used at sporting events or any other situation where blurring could be an issue. Each OS lens contains two sensors which detect vertical and horizontal movement and the shutter speed is attuned to ensure images remain crystal clear. Though some situations will undoubtedly call for the use of a very specific type of Sigma lens, there are a range of highly adaptable, well rounded multipurpose lenses that can suit a range of environments and photography styles. If you have minimal space or indeed a minimal budget, a multipurpose lens can be a fantastic investment as it will allow you to capture a range of images and styles without having to transport several different pieces of equipment with you. 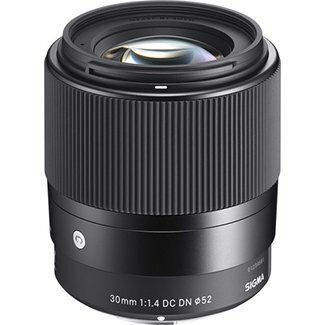 Though limited in certain situations, this style of Sigma lens is highly recommended for beginners and those who are looking for value for money. 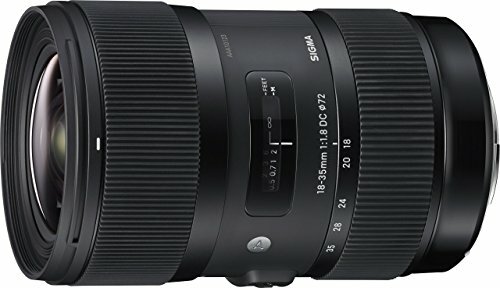 What are the best Sigma Lenses for DSLR Cameras? Below is a selection of some of the best Sigma lenses that are currently available for DSLR cameras. Before making a purchase, it is essential to check the suitability of the product against your own camera as this will prevent disappointment or potential problems when it comes to returning the lens to the seller. This unassuming and simply designed lens has been given excellent reviews across the board. Its large F1.4 aperture provides outstanding sharp focus and the multi-layer coating prevents problems like flare or blurring. There is also a stepping motor which means the autofocus is incredibly quick, a definite bonus for those who intend to use the lens for filming as well as photography. It is a fairly lightweight lens that doesn’t take up too much space in a camera bag so those who value portability along with build quality and performance will be more than happy with the F1.4 DC DN. The large aperture range means sharpness is generally excellent from F1.4 right up to f.16 and issues like diffraction aren’t a problem. Overall, this is a very well-balanced lens for the price and though not the absolute best Sigma lens for DSLR cameras, it has very few downsides. This lens is available for both Sony and Micro Four Thirds. 9 blade diaphragm to avoid flare and blurring. 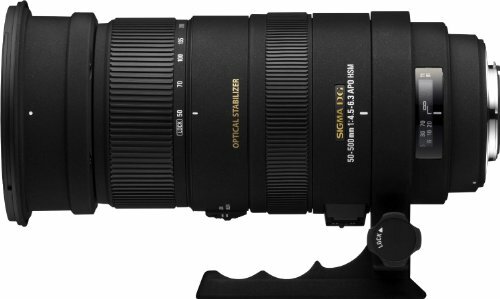 If you plan to capture sporting events, nature photography or landscapes, the Sigma 300-800mm f/5.6 is widely considered to be the best Sigma lens for DSLR cameras. Features including the manual focus override and specially designed lens coating mean you can avoid problems relating to color balance or poor quality. Featuring two high-performance ELD (Extraordinary Low Dispersion) elements and an f/5.6 aperture for consistency across any focal lengths, photographers will be able to capture striking images in a range of environments and conditions. This lens is perfect for wildlife or outdoor photography as well as any other discipline that requires fine detail at a distance. ELD glass elements for great color balance and no ghosting. Those looking for great performance when it comes to close up photography should look no further than the Sigma APO 50-500mm F4.5-6.3. Including a built-in optical stabilizer and 10 x high zoom ratio, all of your shots will be pin sharp no matter what focal length you are using. The integrated OS functionality compensates for camera shake so there’s no need for a tripod and the petal style hood prevents problems relating to excess light. Ideally suited to Pentax SLR cameras and boasting four Special Low Dispersion glass elements, users can expect exceptional color correction and reduced aberration. For great general-purpose performance in a variety of conditions and settings the Sigma 17-50mm F2.8 EX DC OS HSM is one of the best options on the market. It can handle a wide range of photography styles, including landscape shots, high-quality portrait pictures and much more. The small size and light weight of this lens make it one of the best Sigma lenses for photographers who like to be ready to capture spontaneous shots while out and about. The FLD glass elements and hybrid aspherical lens means accurate correction of all types of aberration and the super multi-layer coating means problems like ghosting or flare will not be an issue for you. Though other, more specific lenses may be more appropriate for certain disciplines of photography, this is one of the best Sigma lenses for DSLR camera users on a budget as it can adapt to a number of different conditions and styles. For the price, this telephoto lens is extremely competitive. Though there are arguably better quality products on the market, if your budget is below $2000, this is one of the best options that provide both value for money and high-quality performance. The Sigma 150-160mm DG OS HSM is excellent in difficult conditions due to its splash and dustproof coating. This means filming sporting events or other intense, potentially messy action will be no problem at all. It also features a zoom lock which can be set to any focal length plus an extremely effective optical stabilization system for flawless panning. Though some of the more expensive models on the market may provide you with more professional results, for the price, there isn’t really anything around that comes to close to this. If you need a lens for high-quality wide-angle photography, the Sigma 35mm F1.4 is widely regarded as one of the best tools for the job. Low dispersion glass elements mean problems like color aberration are practically nonexistent and you can expect “true to life” reproductions of any subject. Details are also taken care of, so the finer points of your images will be sharp and crisp. The brass bayonet style mount means the lens feels sturdy and durable. There is also a super quiet hypersonic motor that allows for lightning fast autofocus. As one of the best wide-angle lenses for DSLR cameras, this well-built piece of kit produces distortion free, professional quality results. Suited for landscapes, underwater photography, architectural shots or any other style that requires a wide angle, Sigma’s 35mm F1.4 is a solid and reliable addition to any photographer’s arsenal. Specifically designed to work with Nikon DSLR cameras, this lens can produce wide angle and normal length zoom shots of a very high standard. Built from SLD or Special Low Dispersion glass and a single aspherical element, this is an ideal piece of kit for high contrast photography. The build quality of the lens is excellent and the manufacturers have used thermally stable material to ensure it performs well in a range of environmental conditions and temperatures. It also features a fixed ring at the front for more effective use of circular polarizing filters in extreme lighting conditions. As with most of the Sigma products, distortions and aberrations are minimized and overall image quality is very high. If you require a fisheye lens, the diagonal style is one of the most popular designs as it generally produces great results that have a distinctive, artistic quality. This product has a focus distance of 5.9 inches so shots where the subject is very close to the lens that also feature a distorted background are very easy to achieve. Though not for everyday use, this is a must-have addition to any professional photographer’s collection, especially those who are building portfolios. This lens also has a gelatin filter holder at the rear, meaning you can insert many different types of filters to create a range of different effects. The package comes with front and rear lens caps and case to prevent scratches or other damage. As the lens covers 180 degrees, it is well suited for extremely wide angled shots as well as artistic or unusual photographs. 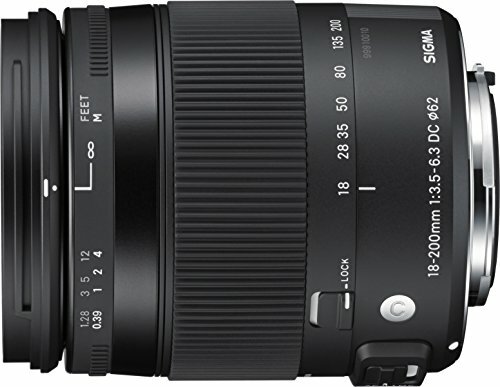 As one of the best all-round performers for a range of different styles, Sigma’s AF 18-200mm F3.5-6.3 DC multipurpose zoom lens is designed for photographers who like to travel light, but still want the quality of a professional standard zoom lens. With a solid and durable build quality that has won it rave reviews from most users, this is still one of the best all-round lenses available for beginners, those on a budget or people who don’t have room for multiple attachments in their camera bag. The AF 18-200mm has an optical zoom of x 11 which is more than enough for most amateur photographers and weighing in at just 385grams, it is lightweight and easy to carry with you. The double sided, aspherical lens elements and integrated OS system mean that even close up, macro style shots are possible with a little perseverance and simple group shots or landscape snaps are an absolute breeze. For extreme close up photography, the Sigma 18-250mm is a compact and portable lens that performs extremely well in a range of conditions and temperatures. The minimum focus distance of 13.7 inches means close up shots with exceptional detail are possible and the 1:2 magnification capability will allow you to capture minute details of small subjects. The rotating zoom ring allows for fine adjustments and although this is technically a macro lens, wide angle and general-purpose shots are possible, too. Users have reported great results while taking photographs while traveling, shooting sporting events, landscapes and general-purpose photos as well as more specific, close up work. The thermally stable composite material is designed to be robust and resilient, so you don’t need to worry too much about damage caused in transit or while in use so although usual levels of care should be taken when using this product, it is not overly fragile or delicate. Choosing a Camera: Which One Do I Need?